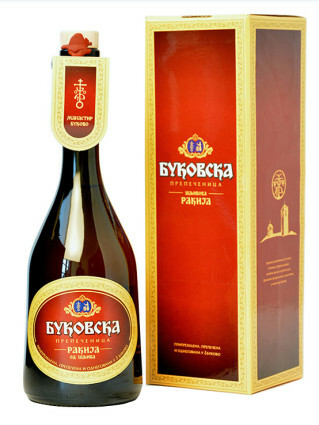 This brandy is an excellent and unique of its kind plum rakia produced by the monks at the Monastery Bukovo in a traditional way in a pot still without a distillation column. 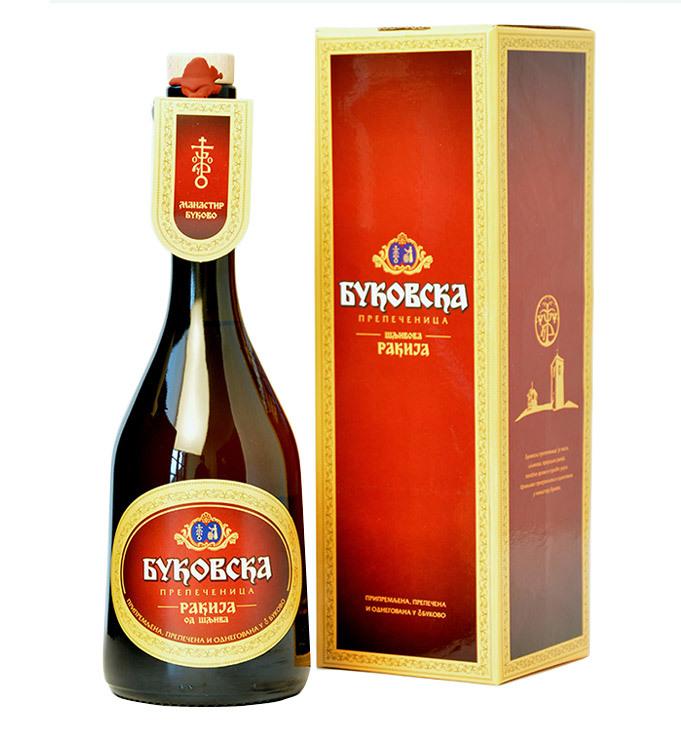 Тhe monks produce this rakia for themselves using exclusively own grown fruit. A very small quantity from the production is sold externally. This rakia is characterized with its excellent aroma and most of all full bodied and harmonic flavor. It is suitable for consumption with smoked ham, other kinds of smoked meat, salty cheese, grilled vegetables as well as different kinds of turshija.